This chapter develops a conceptual framework based on different dynamics in consumer attitudes. Empirical analysis seeks to illustrate this framework with emerging and mature market data for the same brands over the same time period. The results generate important implications, especially for brand management in emerging markets. First, the emotional brand connection, judged so important in mature markets, is substantially less important than securing the brand's spot in the consumers' consideration set. Second, emerging market consumers are more willing to seek out distribution channels for their brands, reducing the “compromised choice” due to less-than-perfect distribution coverage. Third, price is a double-edged sword in emerging markets: a high price benefits sales through consideration but hurts sales through liking. The net impact of these influences shapes the long-run sales effects of marketing. In particular, long-run advertising and price elasticity is higher, while long-run distribution elasticity is lower in emerging markets compared to mature markets. 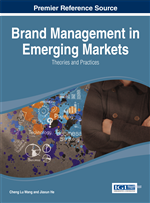 Firms with brands from mature markets are challenged to succeed in each major emerging market (e.g. Immelt, Govindarajan, & Trimble, 2009). For instance, General Motors and Peugeot had a hard time to acquire a share of the Chinese market (Biziouras & Crawford, 1997; Engardio, Kripalani, & Webb, 2001) and one reason for that was cultural misunderstanding (Chen, 2001). Firms with brands from emerging markets, on the other hand, are also challenged to succeed in each major mature market. As an example, managers of Chinese brand Lenovo state that they are trying everyday to make Lenovo a global brand. They add “that is what our aspirations are: to become a brand that people around the world love” (Advani, 2006). In this chapter, we hope to provide some useful managerial insights regarding the strategies that brands should follow in emerging versus mature markets. Also, we investigate whether these strategies should differ in the long-term. For a successful growth, a brand is required to have sustainability in short term gains. Thus, on top of the comparison of immediate consumer responses, we also investigate how long-run advertising, price and distribution effectiveness differ across countries. In addition to examining short- and long-run marketing effectiveness, what we further aim to do is to explore the underlying reasons, that is, the behavioral mechanisms leading to diversities in marketing effectiveness across countries. In essence, using a unique data set on the metrics of consumer attitudes, we propose some specific explanations in brand performance in different markets. How we explore the underlying reasons of different brand performance is twofold. First, we propose some macro level influences. In particular, we believe that mainly institutional, cultural and economic differences affect consumer response to marketing communication, which in turn shape long-term marketing effectiveness. We discuss how an emerging and a mature market differ along these three dimensions. Second, we investigate behavioral responses to find out what the impact on consumers’ attitudes in addition to the impact on their purchase decisions. To do so, we incorporate three main mindset metrics in our model in order to capture consumers’ attitudinal responses to marketing communication. First metric is communication awareness that measures the extent to which consumers are aware of marketing communication. Second, we have brand consideration measure to determine the likelihood of a brand being included in consumers’ consideration sets. The third metric, brand liking, is a proxy for the emotional connection with a brand. It is the measure for the positive feelings about the brand. We provide a more detailed explanation in the data section. In order to make use of these metrics, we need a tool that translates mindset responses into marketing effectiveness. Following Hanssens, Pauwels, Srinivasan & Vanhuele (2010), we use three main effectiveness criteria to measure marketing effectiveness on consumer attitudes (awareness, consideration and liking), as well as on their behaviors (purchase). First criterion is responsiveness which reflects marketing’s ability to ‘move the needle’ on the attitude metric. High responsiveness means consumers are open to change their attitudes with marketing communication. Second criterion is stickiness which refers to the staying power of a change in the attitudinal metric in the absence of further marketing effort. Finally, third criterion is sales conversion that measures the extent to which an attitude metric drives sales. High sales conversion means consumers act on purchasing with some changes in their attitudes. Overall, attitudinal responses operationalized with responsiveness, stickiness and conversion criteria provide a complete comparison for marketing impact on consumer attitudes for brands in emerging and mature markets.